THE BOSS of Qantas has backed Toowoomba businessman John Wagner's credentials to build the second Sydney airport. 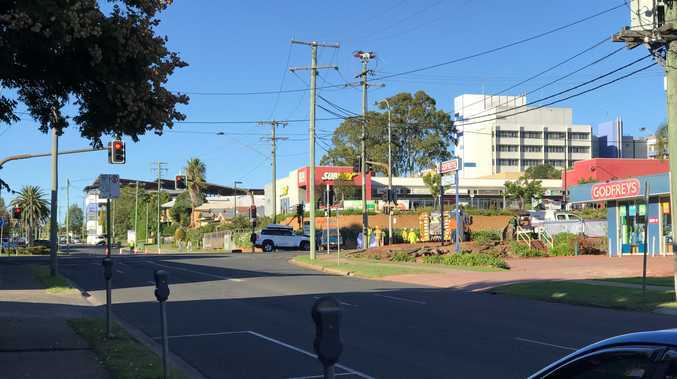 Alan Joyce, the chief executive officer of Qantas, said he would be supportive of the involvement of private companies like Toowoomba-based Wagners in building the airport. The Badgerys Creek airport is estimated to cost between $6 and $8 billion and Mr Wagner said his company, Wagners, would likely submit a tender for the project. He said preliminary investigations showed it could be operational in three years and built cheaper than the $6 billion price-tag. Mr Wagner has indicated construction could be managed by a consortium, and Wagners could manage the airport. He said the government's procurement process and finances could delay construction of the project. Mr Joyce told national media he was "a big fan of John Wagner" and what he'd done at Wellcamp airport. "I think they've delivered an airport for a very low cost. They've done it on time and on budget. "It was a great example of how private enterprise can do this exceptionally well." The Toowoomba airport was constructed in 19 months and 11 days. Mr Joyce tempered his comments by saying there were "complexities" with building the second Sydney airport regarding contract arrangements. "If there is a way to have private enterprise like the Wagners involved in this I would be very supportive of that. "If there is a way of making sure that we can have that dynamic involved with the construction of the airport I think we will end up with a better outcome. "This is a complicated process and there are contractual commitments that the government has to continue to honour." Mr Joyce said a new airport was needed given the extent Sydney Airport was at capacity during peak times for about five hours each week. 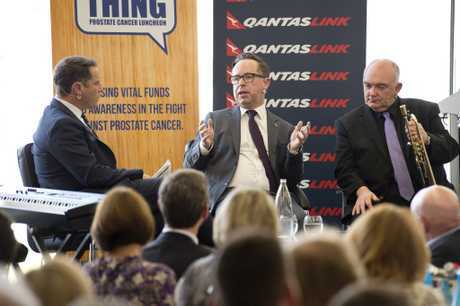 It's A Bloke Thing 2016: Media personality Karl Stefanovic, jazz legend James Morrison and Qantas chief executive officer Alan Joyce have some fun with a serious topic as special guests at charity lunch It's A Bloke Thing at Wellcamp Airport. He said the airport was expected to reach full capacity for aeroplane movements by 2026. Mr Joyce said a second airport was needed to cope with expected growth in Sydney. The Federal Government pledged $5.3 billion over 10 years for the Badgerys Creek project in this year's budget. It also allocated $8.4 billion for the Melbourne to Brisbane Inland Rail project, something Mr Wagner has also been vocal about. He's calling for the route of the Inland Rail project to run past Wellcamp airport. A decision on the route is yet to be finalised.